The rays of sun reveal the close bond between the orca mother and her calf on this year’s Mother’s Day plate. In the orca’s lifelong flock, the females look after their calf well, nursing them up to two years. The young orca can swim safely in the water under protective fins of its mother. 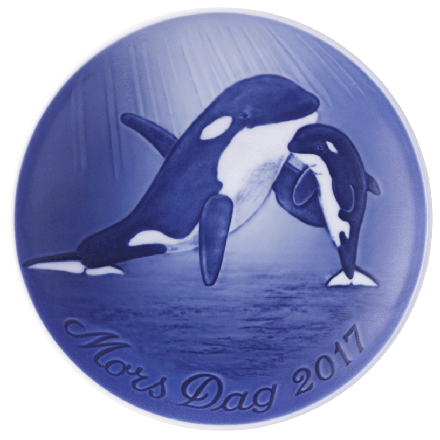 The plate is the 49th in the series designed by artist Allan Therkelsen.